Google Play is the the primary place for distributing Android apps. Stencyl provides a quick way of exporting a signed app for publishing to Google Play (in contrast to the more hands-on experience that Apple requires). Ensure that you’re able to test an app on your Android device. Registration in the Google Play Developer Program. In order to publish your game on Google Play, you must sign your app using a "signature" (called a private key). Much like a real signature, signing establishes that you, in fact, are the creator of the app you're uploading. When an end-user plays your game, the device he's using has to verify that the game is in fact yours, rather than a forgery. This verification mechanism is called a public key (or coloquially called the "certificate"), and it's a code that's embedded into the game itself. A keystore is a file on your computer that contains both your private key and public key. It isn't all that different from the P12 for iOS, which serves the same purpose and is in fact, just a keystore in a different format. With this in mind, let's get started with the publishing process. 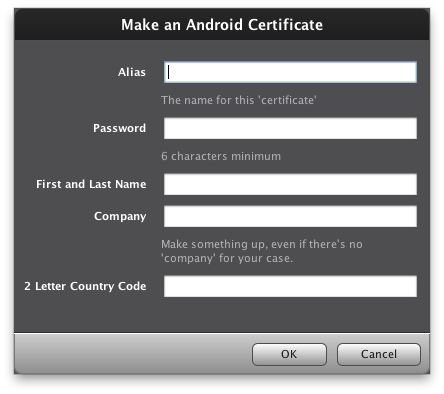 Note: If you already have a keystore, flip to Settings > Mobile > Certificates (Android) and fill in the fields. 3) Fill in all fields. Pay attention to the requirements for each field. 4) You’re done. 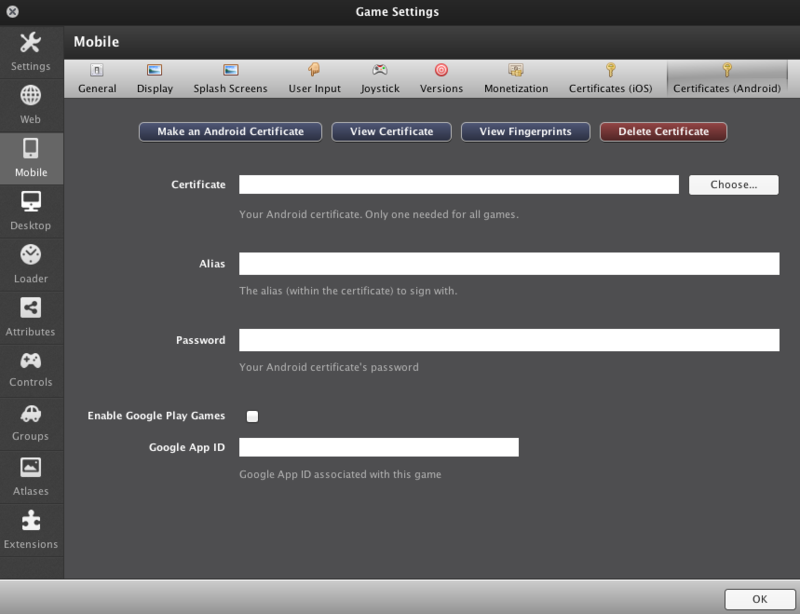 Not only does this do all the hard work, it will also fill in the fields on the Certificates (Android) page for you. You only need to go through this process just once. Your keystore persists between installs of Stencyl and can be revealed on your file system (for backup purposes) by clicking on View Certificate. Keep the keystore file you generate with Keytool in a safe, secure place. You must use the same key to sign future versions of your game. If you republish your app with a new keystore, Google Play will consider it a new app. An APK (Android Application PacKage) is the file you send to Google for review. To export your game as an APK, from the main menu, go to Publish > Mobile > Android. Stencyl will churn for a bit and then spit out a signed APK that you'll upload to Google Play. Tip: Monitor the Log Viewer (View > Log Viewer) to check on the progress of the export process. At this point, you can upload your APK to Google Play. Follow Google's instructions to begin that process. You'll need to sign up for a developer account if you don't have one yet. My keystore got corrupted. How do I remake the keystore? 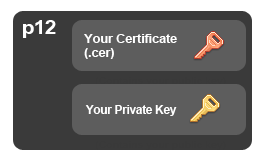 First, delete the existing keystore using the "Delete Certificate" button (the red one). Then, remake the certificate. Can I update my game if I remake the keystore (or lost it)? No, if you overwrite or delete your Stencyl-generated keystore after publishing an app to Google Play, you won’t be able update your app. You'll need to pull the old entry down and make a new one. How can I back up my keystore? From Settings > Mobile > Certificates (Android), click on View Certificate to reveal the keystore on your computer. Can I use an existing keystore that I made outside of Stencyl? Yes you can. Just specify the path to it under Settings > Mobile > Certificates (Android) and clicking the Choose... button next to the Keystore field. I didn't get the apk... the build failed, how can i know what's wrong? Im having a lot of size issues with larger game publishings. Stencyl churns out just a singular APK and its usually larger than 50 mb. Despite all the short cuts i can use to reduce app size (asset smart usage, size reduction etc), i will definitely need to make games bigger than 50 mb for droid in a few months. How can i use stencyl to churn out APKs as well as expansion files? Help appreciated, thanks. My game runs with no problems at all and I test it on my droid phone as well with no problems. "The Stencyl Team does not actively monitor comments on articles. If you're seeking help for your game, please ask a question on the forums. " When I ask to publish to mobile the app says insufficient file permissions. Will this be free or do I need Stencyl Pro/Fee for publishing?